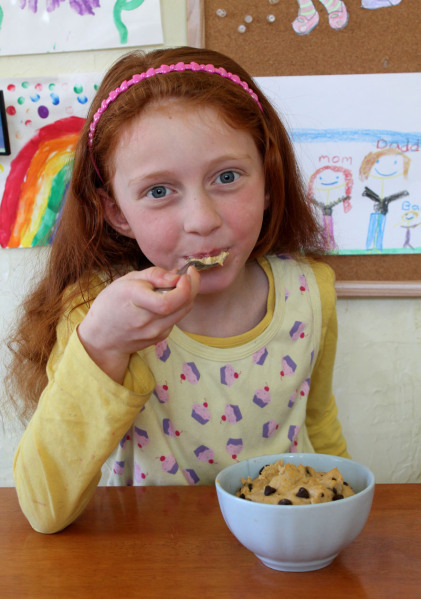 Raising Vegan Kids and How to Get Kids to Eat Healthy | Live. Learn. Love. Eat. 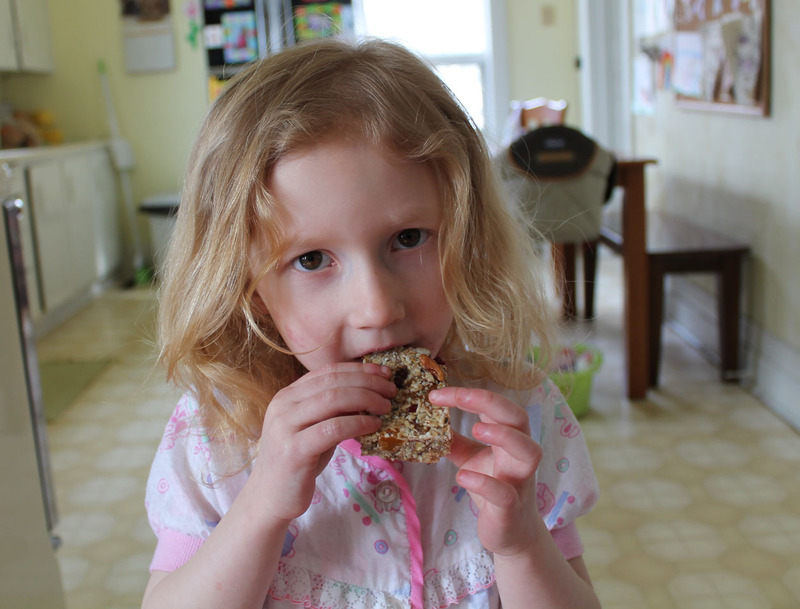 I get a lot of emails from parents who are wanting to switch to a vegan diet, but are concerned about meeting the nutritional requirements of their kids. Since I have shared my experience throughout my vegan pregnancy and raising my vegan baby (now toddler) and kids with so many through email, I thought that it would make a good blog post for others who are interested. Basically, my husband and I are not at all worried about raising our children on a vegan diet or having them not be able to meet their nutritional requirements eating this way. We both feel that this way of eating is way healthier than the standard or typical diet, which includes meat, eggs, dairy and refined flour and sugar, the main things that we exclude from our diet. I feel as though not only can all of the nutritional requirements be met on a vegan diet, but also with so many more health benefits! Natural, organic, wholesome, vegan foods, like lentils, beans, whole grains, nuts, seeds, fruits and vegetables, not only meet the needs for protein, carbohydrates and fats, but are also full of fibre, vitamins and minerals too. I think that it would be difficult to feel bad or get unhealthy when eating a clean, natural, vegan diet. Even eating a not-so-healthy vegan diet (which includes vegan convenience foods, like faux meats and cheese or refined flour or sugar) still seems healthier to me than the standard or typical diet and many grocery store shelf foods. In my experience living vegan, making our own homemade, healthy meals and snacks and raising our kids this way, I know that we are all much healthier and we all rarely ever get sick anymore like we used to. Sure, there are vegan junk foods that are pretty void of nutrition, (like Oreo’s, chips and pop), processed foods (like fake meat and cheese or non-dairy ice cream), but if you focus on providing your family with healthy, organic, vegan foods to eat, (or what I call real food), I think that you will find it difficult to feel bad or unhealthy in any way, never mind suffer from any deficiencies. I think that many people are brainwashed by both the meat and dairy industries and years of cultural conditioning as children into believing that we need meat, eggs and dairy to be healthy, but it only takes a little bit of research and common sense to realize that a plant-based diet is healthier, not only for your body, but for your mind and spirit as well (and for the animals and the environment too, or course). I think that once you take the plunge and face that initial fear of letting go of those ingrained beliefs (which every new vegan experiences) and you see how truly better you and your family feel overall, it won’t be long until you decide that you never want to go back to eating animal foods or feeding them to your children. To me, eating this way just makes complete and total sense and I feel as though I finally found what being truly healthy is. Diets will never work long-term, but eating what nature intended for us to eat, eating plant-based, organic, whole foods, that makes sense and that provides life-long, lasting health and happiness. My pregnancy with Serafina was really great! I started out at a healthy weight and made sure that I ate a healthy diet throughout my pregnancy. I’ll be honest, at first I had super-bad cravings for junk foods (just like in my other pregnancies) and I did cave into many of them in the beginning because I really felt like if I was craving something, then I should have it (think greasy french fries and sugary popsicles, even cheesy pizza a few times). But after the first few months of having those feelings and also being very tired and a little nauseous, I returned to healthy vegan eating and exercise (walking, yoga and swimming) and realized how much better I felt living a healthy vegan lifestyle. 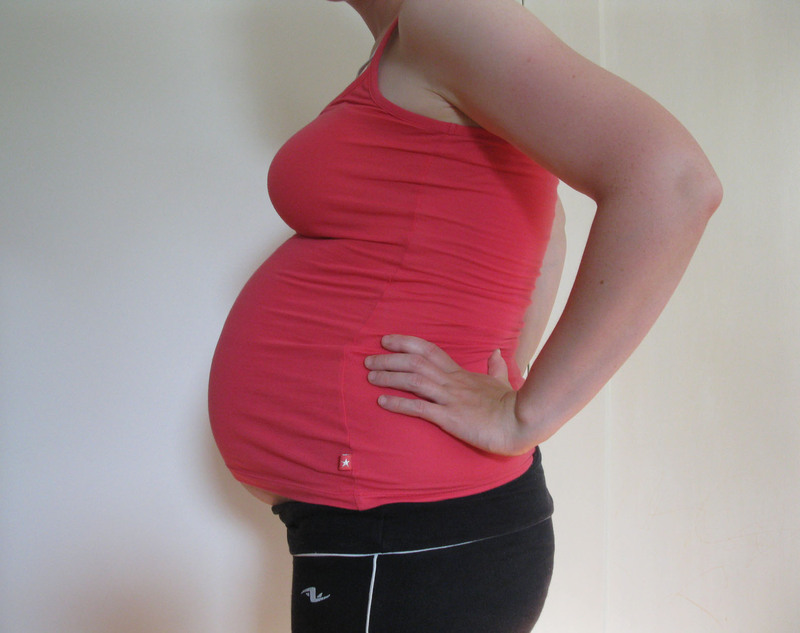 (See this post, this post and this post for a little more on my pregnancy). My delivery was very peaceful and both Serafina and I were very healthy. I had an all-natural birth and she came out in one push, weighing a healthy 8 lbs and measuring 20 inches. Serafina was born at night and the next day Craig and I were out walking already! The nurses watched Serafina so that we could take a walk together for 30 minutes everyday that we had to stay. That is how great I felt after having just having gave birth and I know that it was because of my healthy eating and exercising. My other two pregnancies and deliveries seem like horror stories in contrast to my last experience with Serafina, so I know that a healthy lifestyle does in fact make a huge difference! 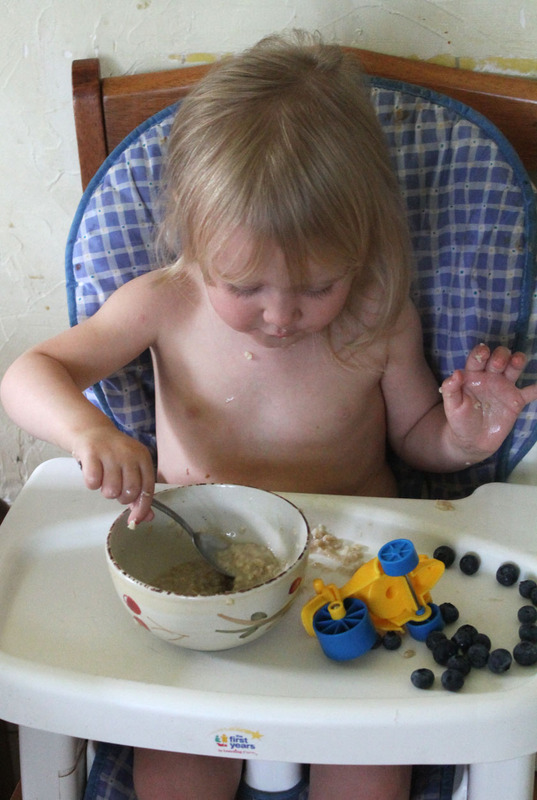 I breastfed Serafina for 21 months and for the first 10 months of her life, she basically lived off of breast milk. She was an extremely avid nurser and quite a little chub monster. She started eating food around 4 months. 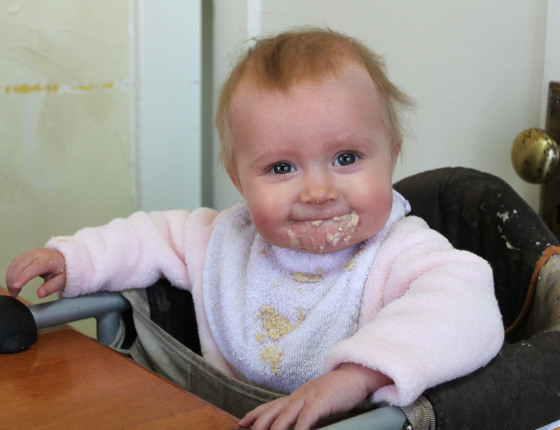 Her first food was mashed banana. 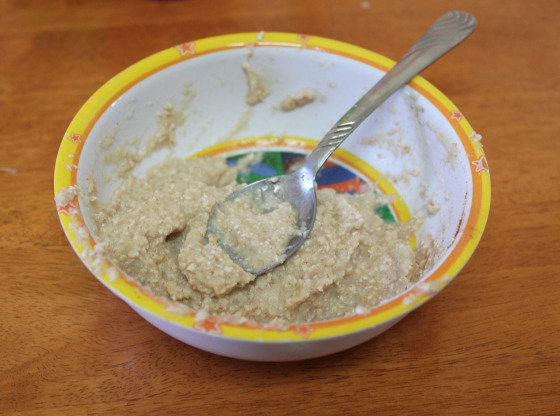 She had a bit of baby rice cereal with breast milk for maybe a few months, but after reading some of the ingredients in them (like sugar and many unpronounceable things), I felt sort of skeptical about giving them to her and decided to stick more to natural foods or make my own cereal by grinding my own oats or mixing breast milk with brown rice flour. 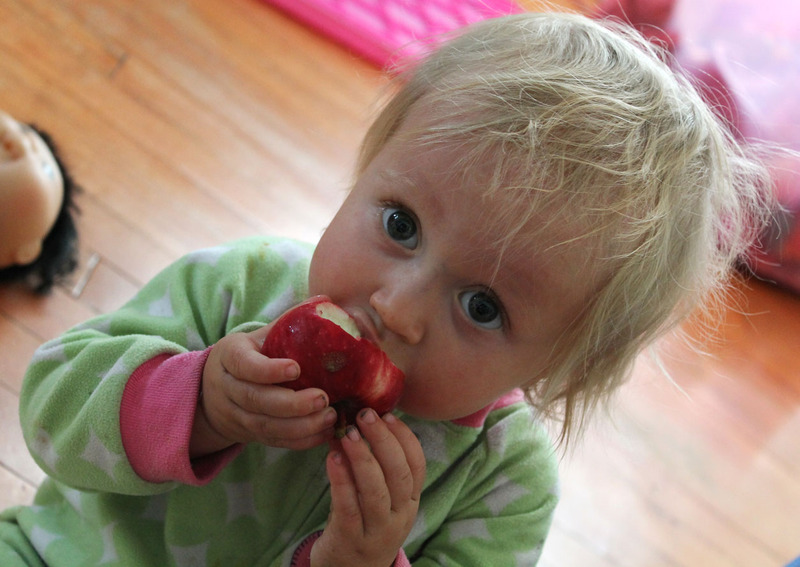 She has always loved fruit and so when she started eating more, we would always give her fruit. She also had some jarred different vegetable and fruit organic baby food from the store. Homemade mashed sweet potatoes, carrots and avocado were great. 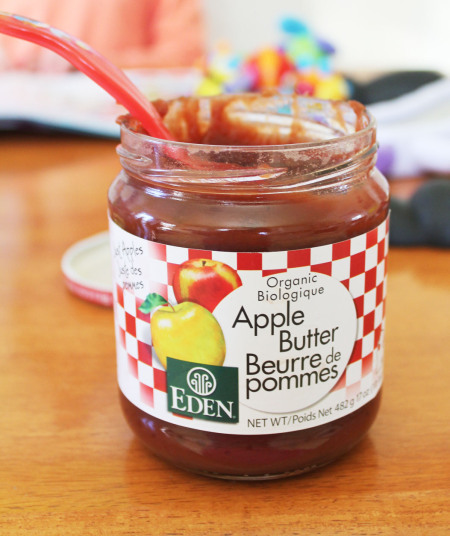 She also loved apple butter and unsweetened applesauce. Soon I was just feeding her what we ate, just pureed up. 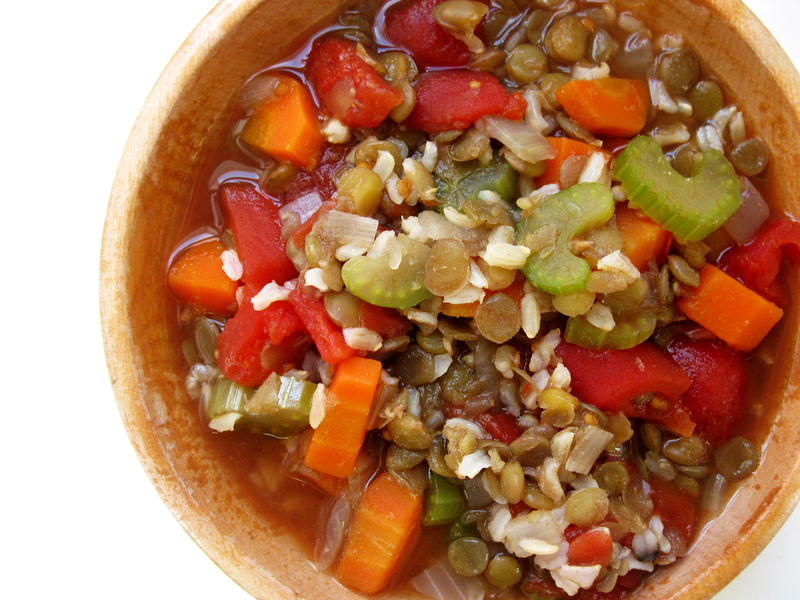 Things like soup, or meals with rice or red lentils. 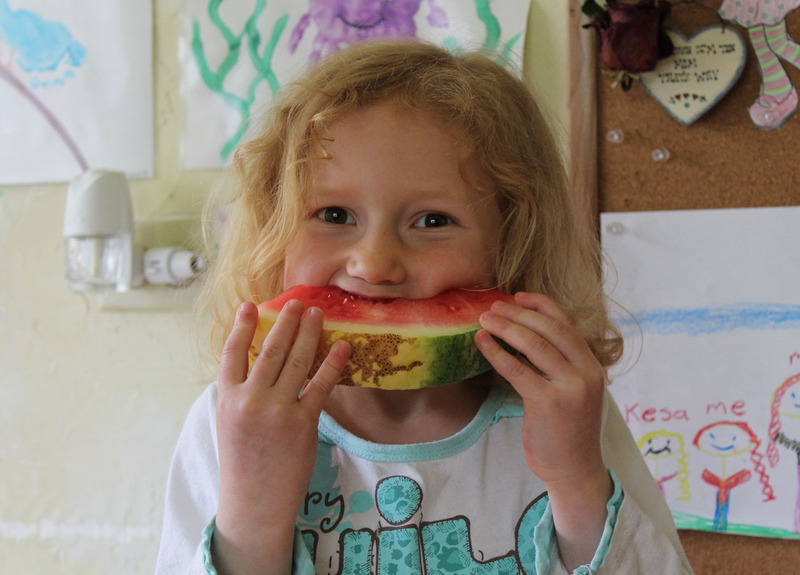 When she got older and had some teeth, she enjoyed eating many of the things that I would make too, like pancakes, lentil burgers, black bean burgers or potatoes and of course she still always ate a ton of fruit. 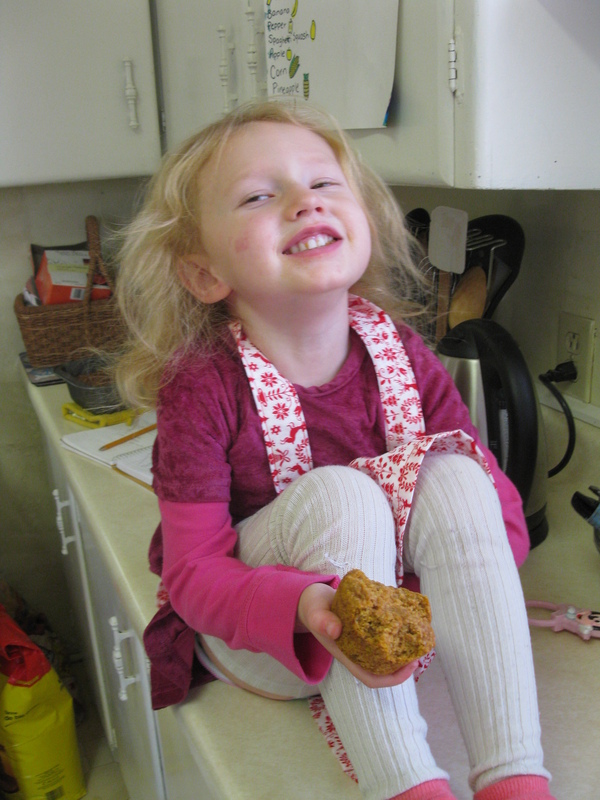 She enjoyed the healthy, whole wheat, naturally-sweetened, homemade cookies, muffins and quick breads that I baked. Almond cookies were also one of her favorites! 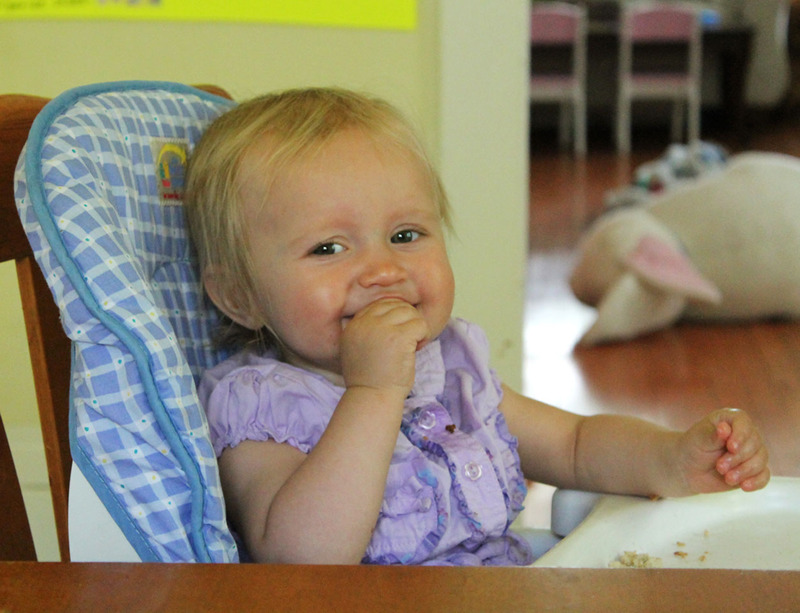 Other snack foods included organic soda crackers or Late July crackers and baby cookies. 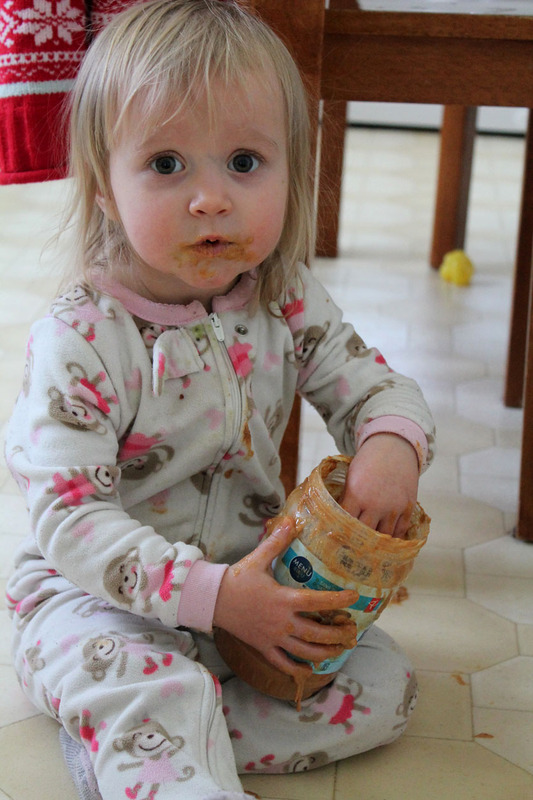 Eventually, she got a hold of the peanut butter jar and became an instant addict like the rest of us too. 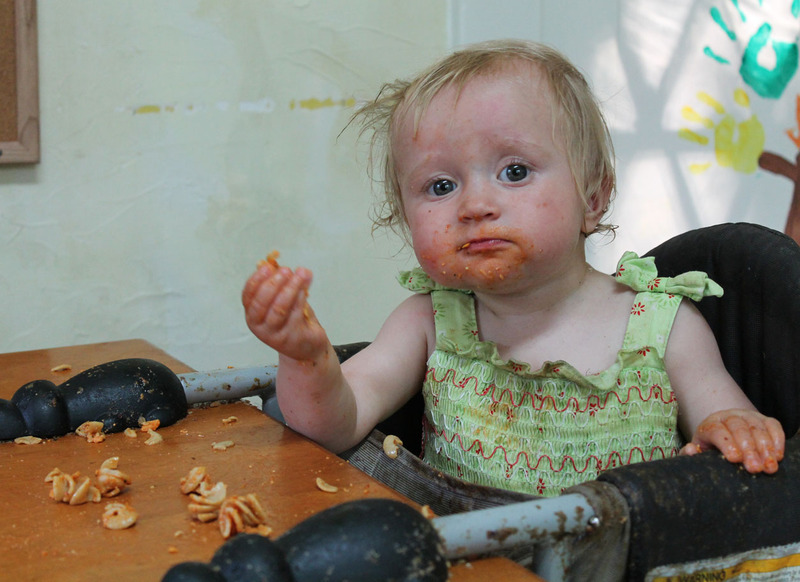 Nowadays Serafina is still a very good eater. She is loving a variety and every meal that I make, she devours. 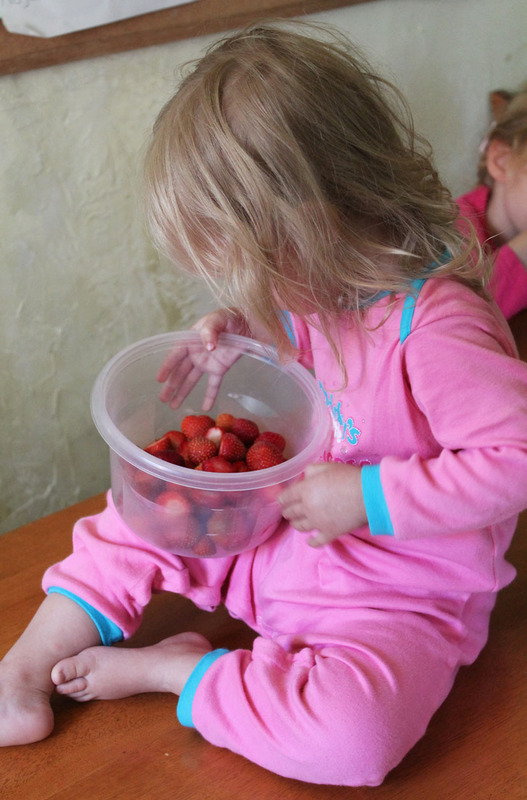 She still loves fresh fruit too and eats a giant container of raspberries or strawberries in under a minute! I kid you not! And she still always makes that Mmmmmmm!! sound whenever she is eating. 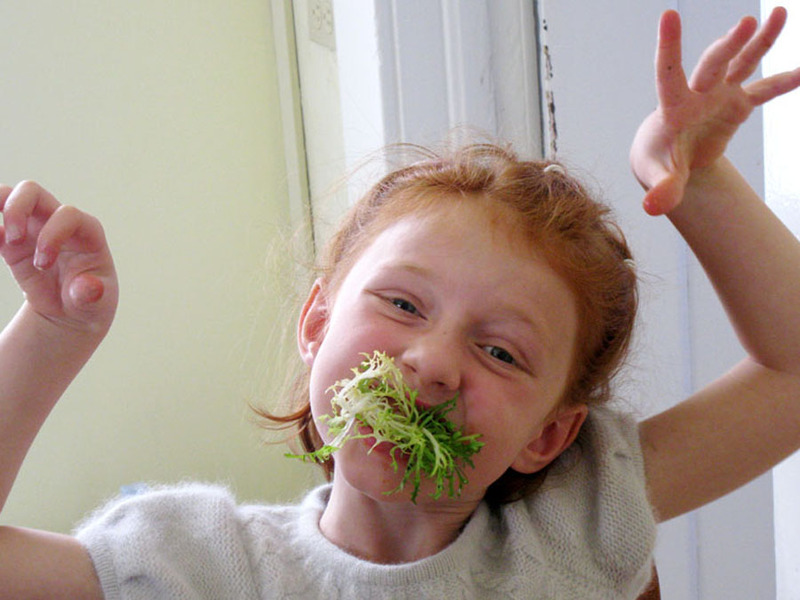 I also thought that I would include some of my top ten tips on how to get kids to eat healthy! 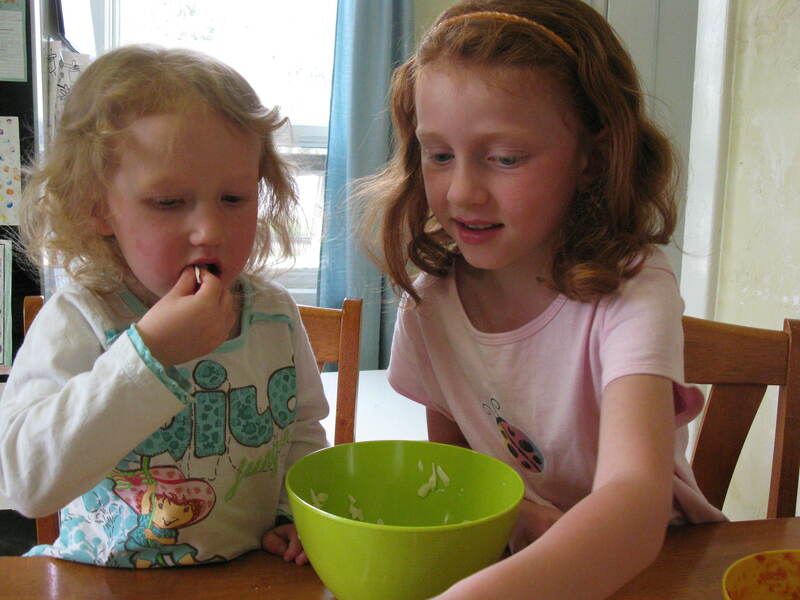 Some things that I have learned along the way, getting my kids to enjoy healthy eating. 1) Set a Healthy Example. This is definitely my number-one tip. Kids learn by example and really look to their parents as their role models. 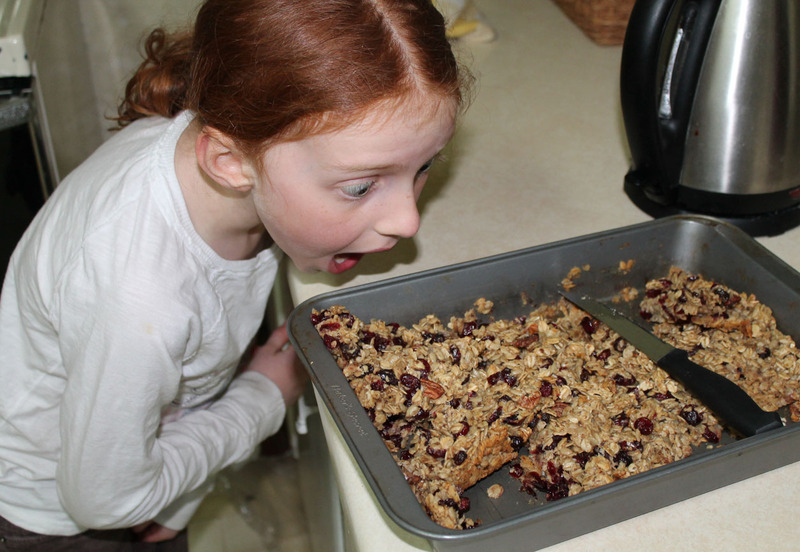 If you are wondering why your kids don’t want to eat healthy, have a look at the example you are setting. Do you often buy packaged snack foods or bottled pop and wonder why your kids beg for these things at the grocery store? 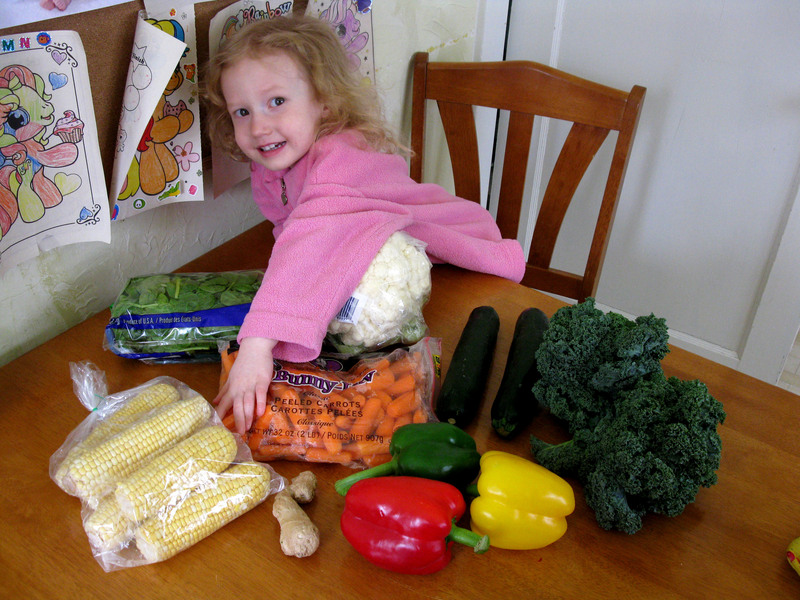 Does your child see you purchasing healthy foods and eating your fruits and veggies? If you really want your family to make healthy choices, resolve to set a good example by choosing the right foods for yourself, too, and model the behavior that you wish to see in your children. 2) Make Food Fun. Kids love fun. 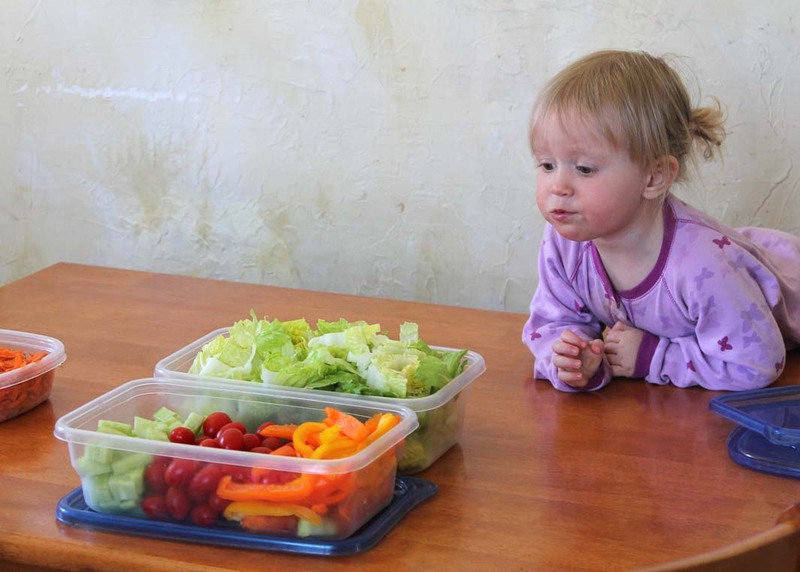 Make your meals kid-friendly by arranging their plates in unique and appealing ways. Talk about how awesome healthy foods are and what wonderful things they do for our bodies, enabling us to jump, dance, and play. 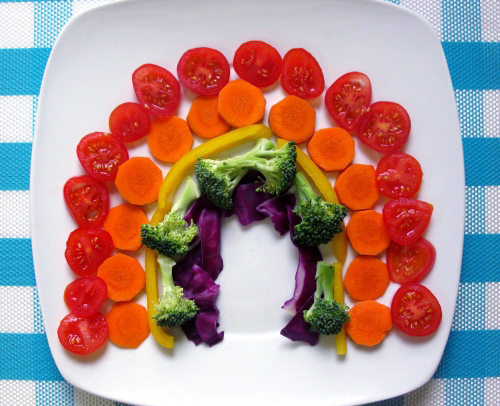 Make an Eat the Rainbow Poster and have a competition to see who can eat the most color in a day. Call a food by a different name. We like to call broccoli “trees,” and each bean has a different name, too. Chickpeas are “grandma beans,” black beans are “baby beans,” kidney beans are “daddy beans,” etc. Naming the different foods makes eating them so much more fun! 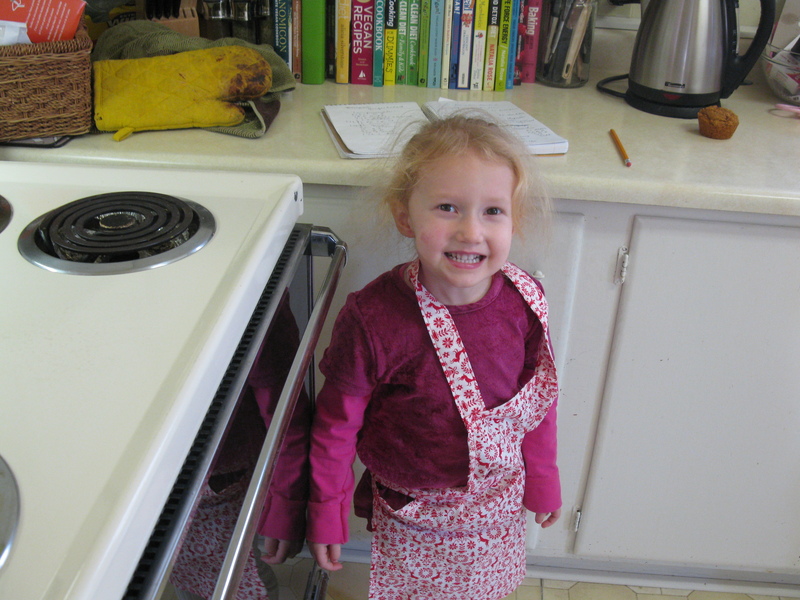 3) Get Your Kids in the Kitchen. 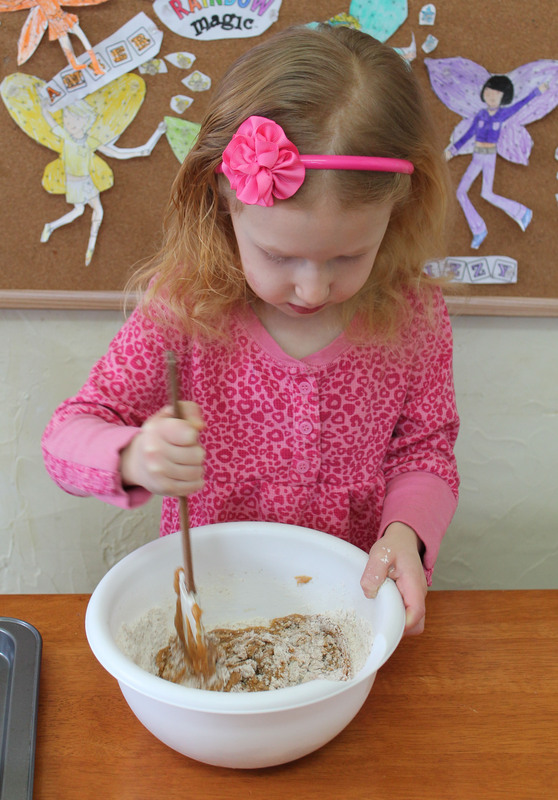 Another great tip is to get your kids in the kitchen cooking alongside you. 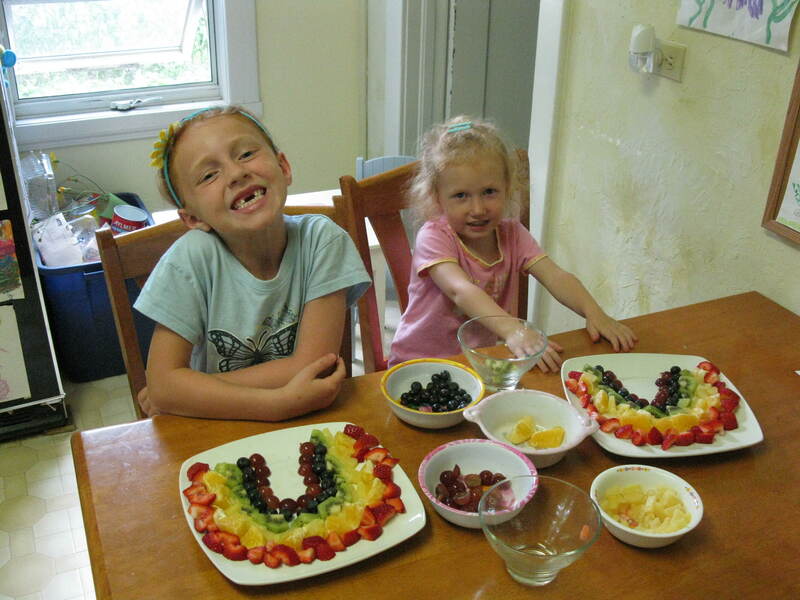 Kids will be excited to eat anything that they helped make and will love to share it with others. 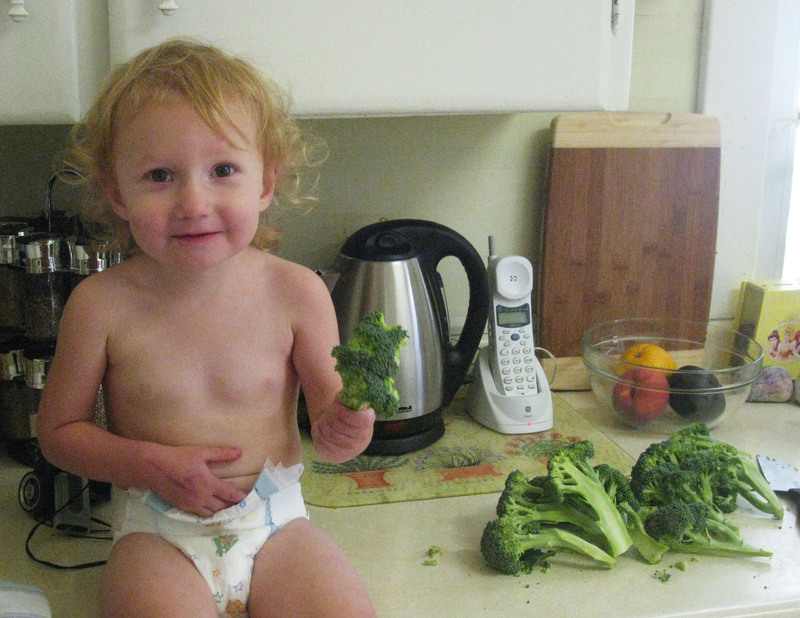 I like to give age-appropriate kitchen tasks to my children, like washing the fruits or vegetables, adding ingredients to a mixing bowl, stirring, or (for the older kids) peeling or chopping vegetables. 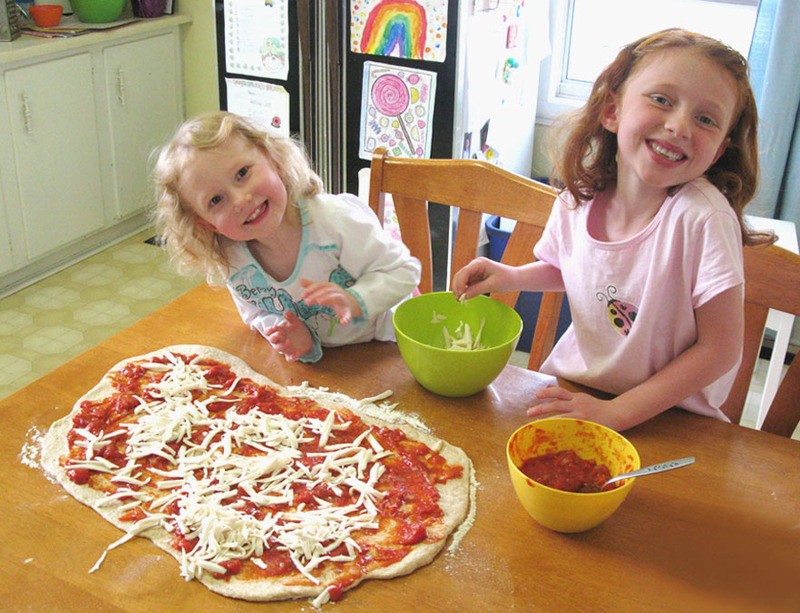 Involving kids in food preparation is a sure way to get them excited about eating their creations and gives them such a sense of accomplishment. 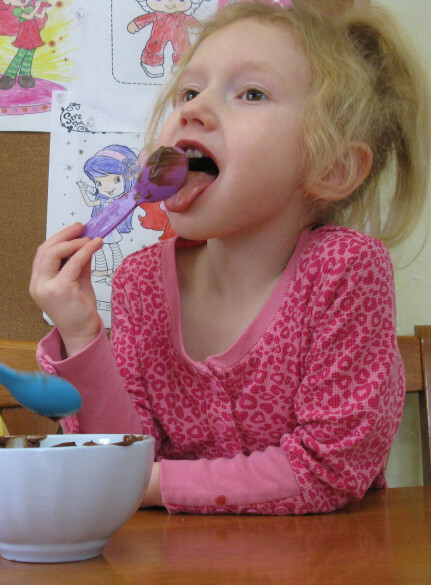 Licking the mixing spoon is always fun too! 4) Eat Meals Together. I think that there is nothing like sitting together around the table and sharing a meal. I see it as a time to get to know each other better and share our day as well as some good food. Eating together feels safe and peaceful. 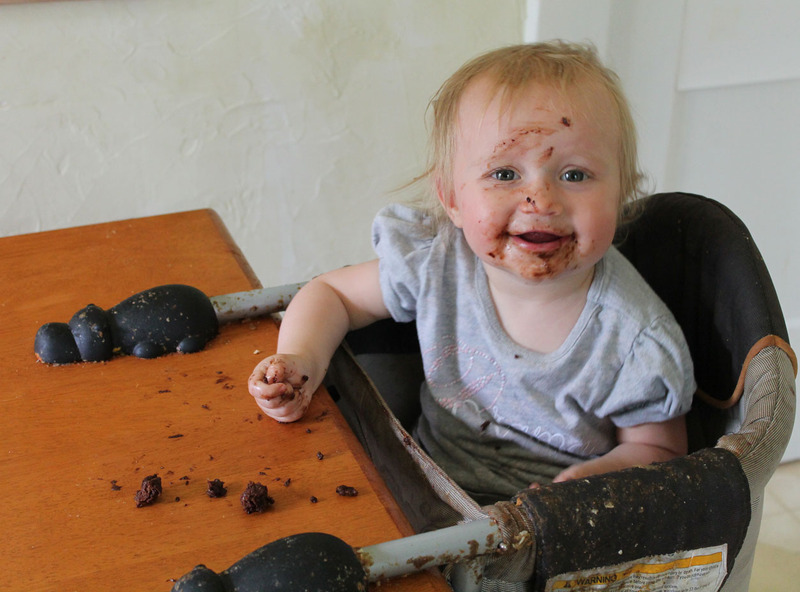 It creates good food memories that will last a child their entire lifetime. 5) Offer Variety. Kids like to be in control. Offering a variety of choices that are all still healthy and allowing them to choose is a way you can win any food battle. Keep only healthy snacks on hand and even if your kids refuse to eat a meal, you at least know that they are getting nutritious snacks. 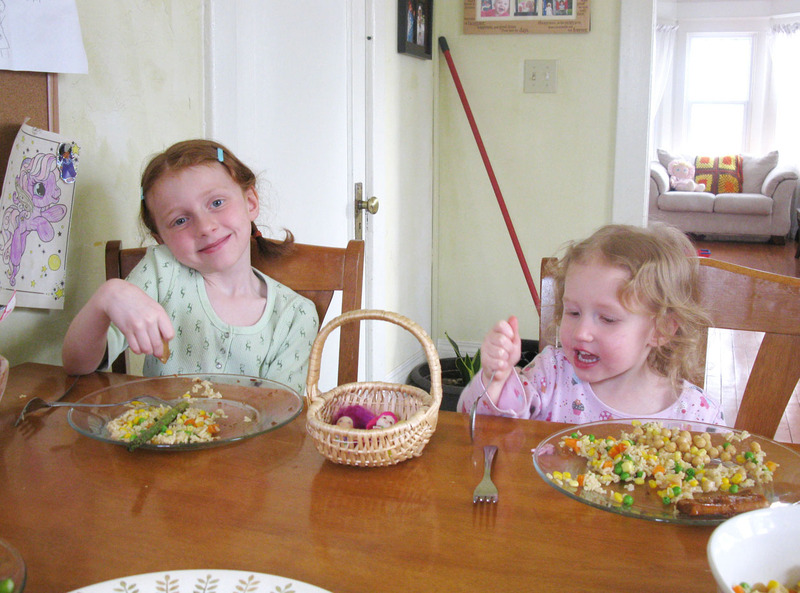 At dinnertime offer two different types of vegetables and have them choose which one they want. While my middle child doesn’t really care for cooked vegetables, I know that she will always eat raw vegetables cut up on the side at lunch or dinner. 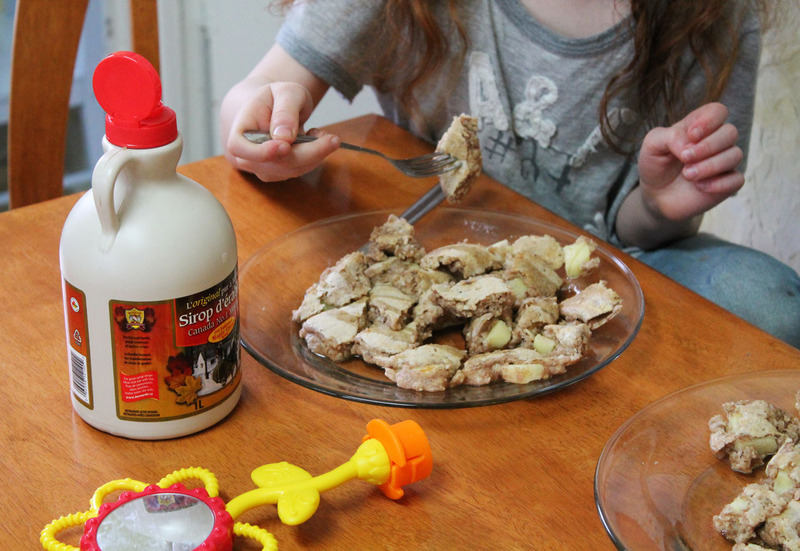 It may also be a good idea to have your kids choose the meal one night a week or the main ingredient to use in a dish. 6) Be Patient. Rome wasn’t built in a day, and getting your kids to eat healthy may not come easy at first, especially if they aren’t used to the new and unfamiliar foods and tastes. Be patient while you make the transition and remember that it takes about 10 tries before kids start to take a liking to something. 7) Keep Only Healthy Foods in Your Kitchen. Stocking your kitchen with only healthy foods ensures that everyone in the family will make only healthy choices. Don’t bring sugary, processed foods in the house and there won’t be any temptation for you or your kids. 8) Take Your Kids Shopping. My kids love to go to the grocery store with me, and in our town the grocery store even has mini shopping carts that they love to use. My oldest daughter always helps to write the grocery list, and the girls love to find everything on the list at the store, like a scavenger hunt. Have them scope out the produce department and pick out what favorite fruits and vegetables they like or something new and different that they might want to try when they get home. 9) Try, Try Again. Often times it may not even be the food itself that you or your kids may not like, but the way that it is prepared. 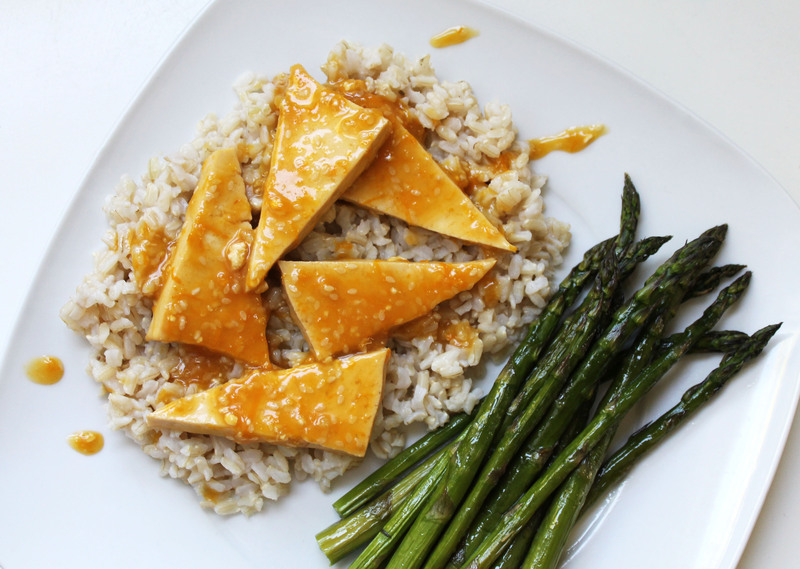 When we first had tofu I was not the biggest fan, until one day we had tofu bacon and we all fell absolutely in love. Try new ways of preparing a not-so-favorite food before giving up on it altogether. Experiment with a different cooking method, add some different herbs or spices, and make it exciting. It can take many tries before discovering that a long-avoided food may actually be one of your favorites! 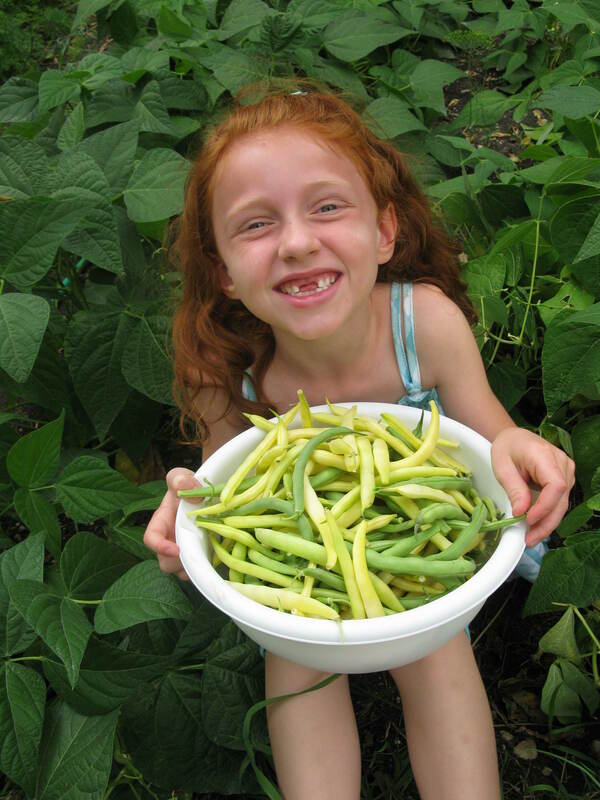 Another thing we do is plant a vegetable garden every year. 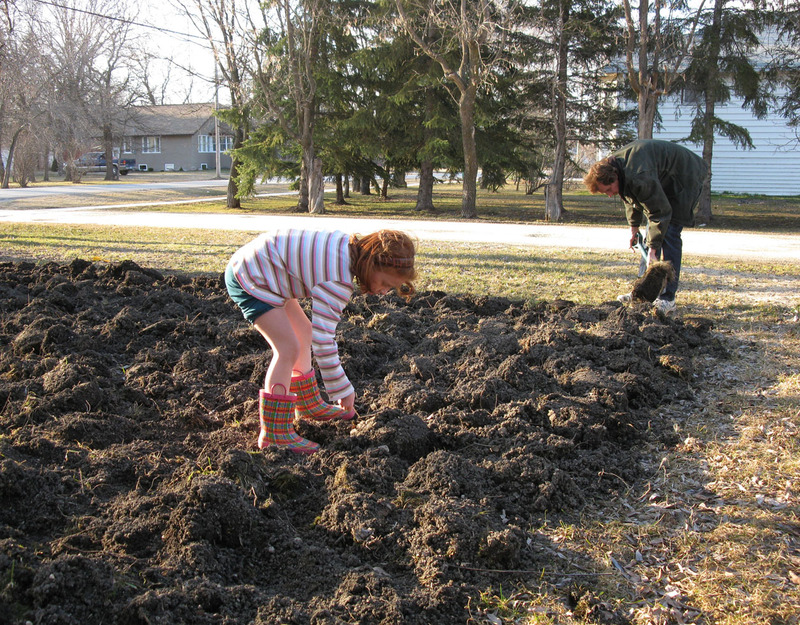 The girls love to plant the seeds and watch our food grow. I think it is also a great way for them to connect with nature and it always gets them eager to eat fresh veggies! Thank you for writing this and hopefully clear up some misconceptions with it! I was always a selective eater (never really liked meat, eggs, store bough bread, pizza, etc), but when I started baking a whole new world of unprocessed food opened up to me. I was wondering where are some places to find cheaper maple syrup? ours is $7 for a 12.5 oz bottle, so I can’t make some of your cookie recipes because of how expensive it would get buying the syrup:( I love your no bake bites though…and found that using a food processor and throwing all the ingredients in for the cookie dough bites makes it a much more manageable texture when rolling into balls. Thanks for your comment! 🙂 Well, we are in Canada, so maple syrup is not too outrageously priced. I buy a 1-liter jug of maple syrup for $12.69 at the store instead of the smaller bottles which are more expensive and can get at least 6 baking recipes from that, as well as use it for making sauces or salad dressings too. You could always try to find a bigger jug for a better deal, or maybe substitute a cheaper liquid sweetener in place of the syrup. Hope that helps! I live in Malysia no maplesyrup is crazy expensive here. I occasionally buy it as a treat or when one of the organic shops is having a clearance sale. But that is infrequent, so I never use it for baking, only to top pancakes, on oatmeal, etc. anyway, I didn’t want to miss out on great recipes that use maple syrup, so I make sugar syrup from organic unrefined cane sugar and/or coconut palm sugar (which is affordable here in the tropics). I boil 2c sugar with 1c water until it is dissolved, and continue to boil for 1-2 minutes. Store in a clean glass jar. If you wanted you could add some natural maple flavoring, but I can’t get it here 😦 lately I’m mostly using coconut palm sugar since it’s lower on the glycemic index and it’s very unrefined. It does make the final product darker with a more caramel type taste, though. Sounds like a great idea! Thanks for sharing Honey! 🙂 I think adding the maple flavor would make it even better. Thanks for the idea! I use sugar in the raw, so this would be a nice alternative…plus you could do 50-50 of the natural syrup and the sugar syrup:) I will be trying this soon. This is a great post, lots of important info! Sneaky recipes, especially dessert ones, are always a hit around here as well. I need to remember to do more. My standby is “ice cream” made with frozen bananas as the base as a healthy snack. No sugar! I’m going to try your chickpea cookie dip soon! 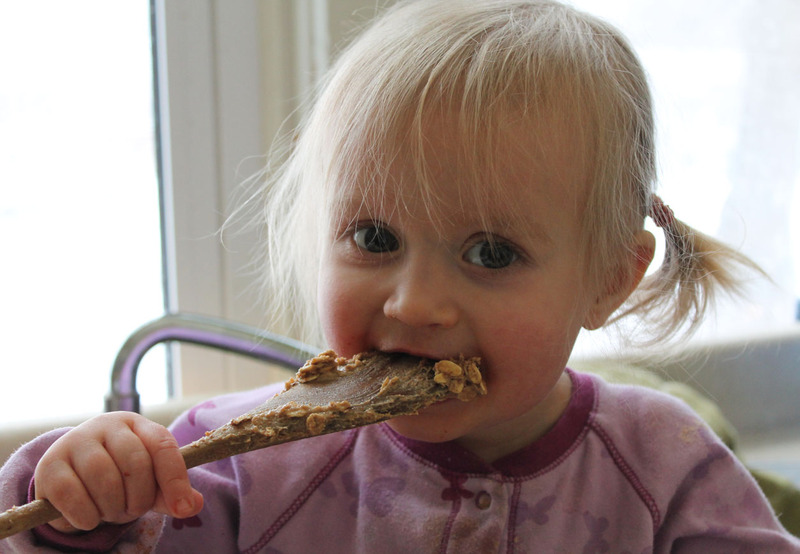 Do you give your kids and B12 or Omega3 supplements? Hi! No supplements for any of us, only a multivitamin daily. We get B12 from foods like nutritional yeast, miso, shoyu, etc. Many vegan foods are already fortified with B12 (like milk, cereal etc.) and the requirement for B12 is actually very low. Omega-3 sources for vegans are flax seeds, hemp seeds, beans, hummus, greens, berries, cabbage and cauliflower. We don’t worry too much about not meeting the nutritional requirements because we eat a variety of foods in our diet and look first and foremost to food for our nutritional needs. Thank you Tiffany. Keep up the great work! Hi Tiffany! I have only recently converted to a vegan lifestyle and I am loving your website. Just wondering (if you don’t mind me asking) how long you breastfed your children for and when you stopped did you give them soy milk or any other milks? I am not a mummy yet but hope to be soon and I am just wondering what the vegan options are for post-breast feeding. Hi Sophie! I breastfeed Autumn for 9 months, Kesa for 21 months and Serafina for 20 months. I never used any formula for my kids, they just went straight to regular beverages. Serafina (my youngest daughter and only vegan baby from birth) just went to unsweetened almond milk and smoothies or juice. Hope that helps you! 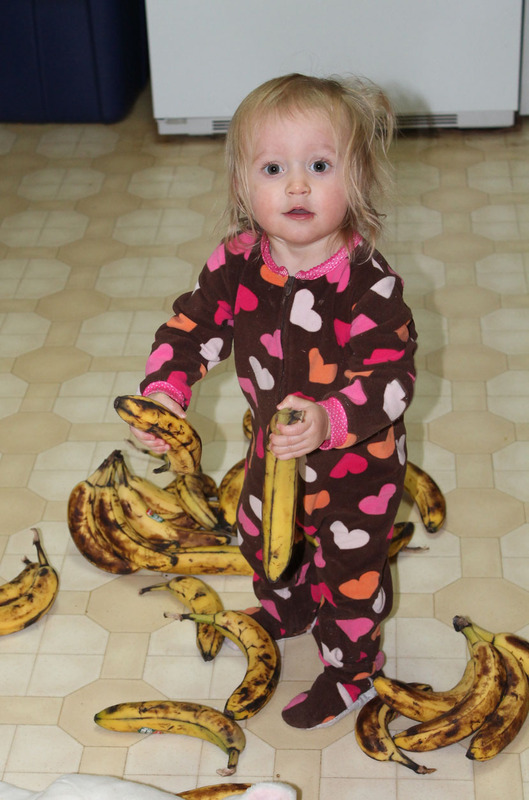 I need your help, My kids eat plenty of fruit whenever i give it to them, but they are VERY picky about vegetables. I make “green” smoothies and sneak some in those, (kale, carrots, etc.) they love them and I have no problem usually getting them to drink them. My daughter was a born vegan, hates meat and eggs, my son eats broccoli like its going out of style, and I want all of us to become vegan. I already eat a lot of foods that are mainly vegan, and have realized I can’t stand the smell of raw or cooked meat, but if I get near steak I want it (this craving will come to an end sooner or later). My fiance eats mainly dairy, meat, cheese and sugary, fried, processed or fast foods, this is where the problem lies. How do I bridge the gap that will inevitably be there with him? 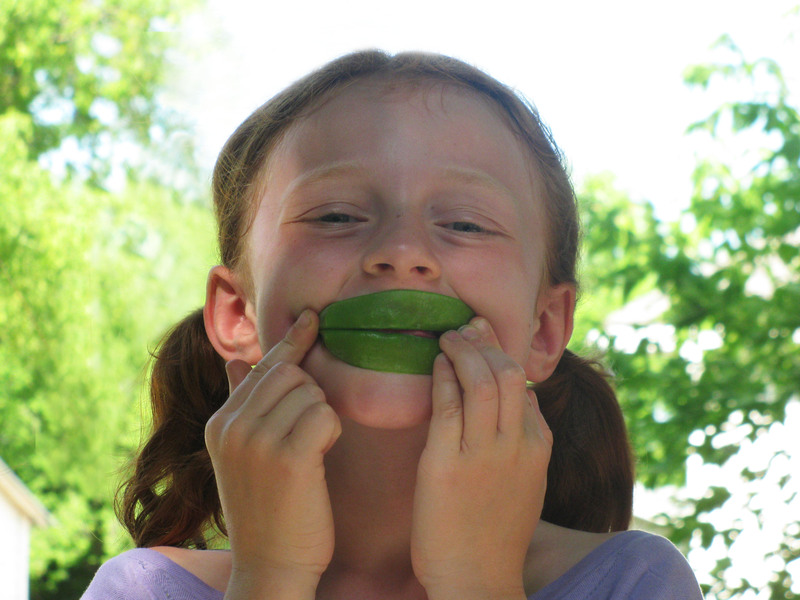 And what do I do with kids that want nothing to do with a green pepper? lol I would really appreciate any input. I’m making the move to vegan 🙂 My lg is 18 months old and not the best of eaters she pretty much lives off breast milk. 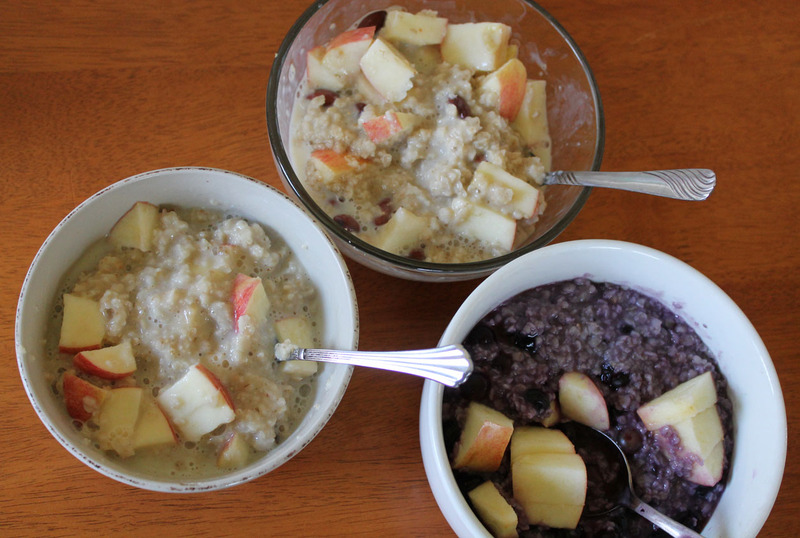 What kind of meals do you think is best for younger ones?